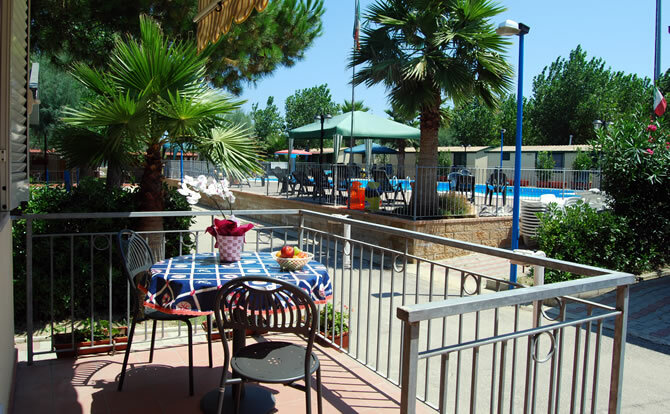 Provincial capital located a few kilometers from the sea and the mountains of Gran Sasso of Italy. City of ancient origin, under the Romans found itself colony and municipality. 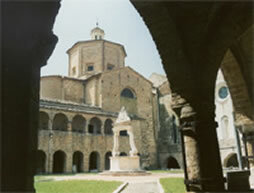 In the heart of the city stands the Cathedral built in 1158. Inside you can admire frescoes as "the Silver Frontlet" by Nicola da Guardiagrele and an altarpiece of St. Augustine of the fifteenth century of the Venetian Jacobello del Fiore. 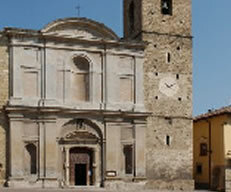 Not far from the Cathedral you can visit the "Teatro Romano" 30 BC, it is also interesting to visit the "Convent of St. John", the "Bishop's Palace , "the Church of St. Dominic" , "the city art gallery of Teramo" and the "Archeological City Museum F. Savini". The National Park of Gran Sasso and Monti della Laga covers approximately 149,000 hectares and constitute of the most fascinating protected area of Italy. You can enjoy the spectacular glacial valleys such as Val Chiarino and the Valley of Venaquaro as well as Calderone, the most southern glacier in Europe. Among these mountains there is also the largest artificial lake in Europe "the Campotosto" where the birds find a safe and quiet harbour during migration. 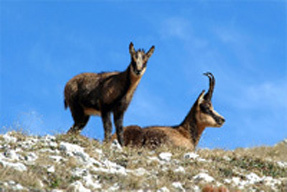 Along the paths of the park is not unusual to encounter the Abruzzo chamois, the wild boar, the wolf, the wildcat, the peregrine falcon and golden eagle. In some areas have been found traces of human presence from the Paleolithic to the present. The many villages that dot the landscape contain evidence related to the artisan traditions. 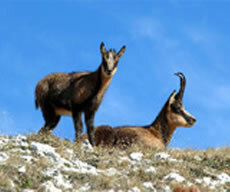 The massif of the Gran Sasso of Italy culminates with the Big Horn, whose peaks, steep slopes and the essence of his nature make it the most famous Abruzzo mountain. 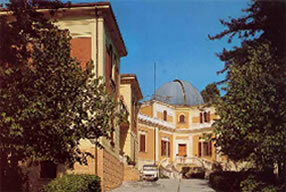 It stands 645 meters above sea level with the charm and the story of his "Fortress". 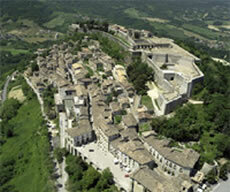 The symbol of Civitella is the "Fortress", a bastion of the Bourbons before the unification of Italy. 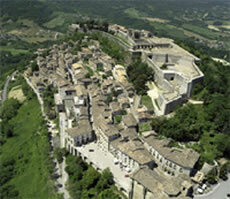 This citadel is unique in its kind and is located in a splendid panoramic position. Built during the Middle Ages and until the 19th century it represented the military stronghold on the northern border of the Kingdom of Naples, witnessed by boundary stones bearing the emblems of the Bourbon Kingdom and the Papal State. 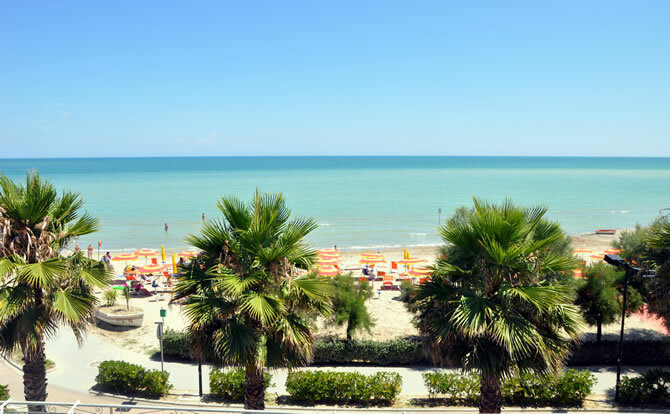 It represents one of the most important destination of the tourism in Abruzzo. 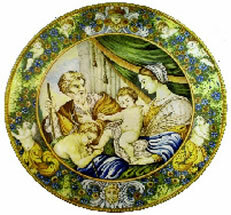 Home to famous pottery masters who served the King of Naples, it is known for its handicraft shops and renamed the "City of Ceramics", whose origins date back to the twelfth century and since then this fine art has been handed down from father to son. 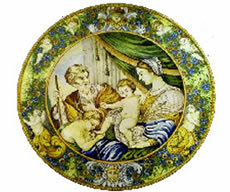 Beautiful to visit is "the Museum of Ceramics of Castelli" a really important exhibition, housed in the former Franciscan Convent of S. Maria of Constantinople, where the distinguished archaeologist Felice Bernabei opened in 1906 the School of Ceramic Art. 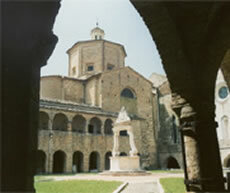 The objects exhibited in these ancient halls are refined works of the great masters of past centuries with numerous paintings of pharmacy jars of so-called "Orsini Colonna" type exhibited in major museums around the world and also safeguard one of the many masterpieces in a beautiful ceramic nativity scene with about a hundred characters. Also visit the "country church of San Donato" with majolica floor and ceiling of 400a.c., described by Carlo Levi "the Sistine Chapel of Majolica" . Along the streets of this picturesque village, which stands on a ridge at the foot of the Gran Sasso, you will find many shops displaying beautiful ceramic objects . Town situated on a hill between two valleys, rich in architectural monuments that make it a true city of art. 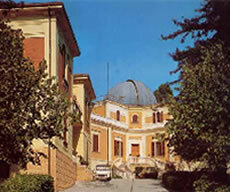 It is home to a section of the "National Archaeological Museum" which houses the remains and funerary Italics of the nearby "Necropolis Campovalano". You can visit the "Church of Mercy" of the fourteenth century, the "Church of Saint Paul" with the holy stairs, so called after 1776, which granted an indulgence to those which climbed it on his knees. At Campli you will find the beautiful medieval "House of Parliament", then "Palazzo Farnese" and current location of the Municipality. Atri was one of the most famous cities of the ancient world. The story is evidenced by the monuments with special architectural features that make Atri a true city of art and history. It has ancient roots dating back between the Vth and VIIth b.c. It became a Roman colony in 290 and was the destination of the Emperor Hadrian and his family. 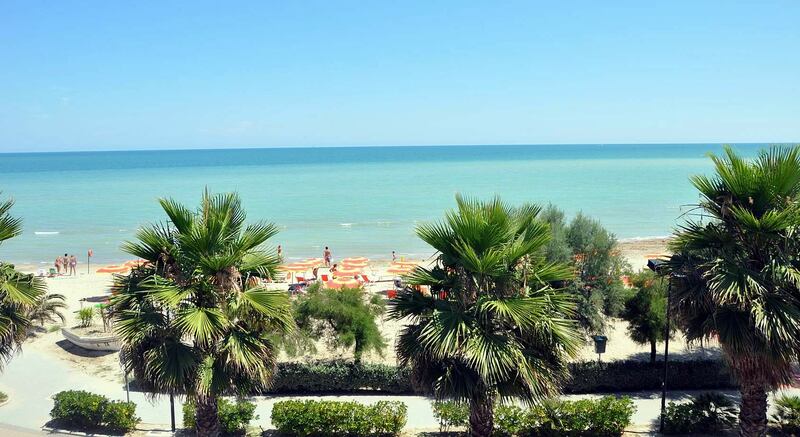 Some historians attribute to Hatria the origin of the name of the Adriatic Sea. In the twelfth century it passed to the Papal State, then the Swabians, the Angevins and finally to the powerful family of the Acquaviva. 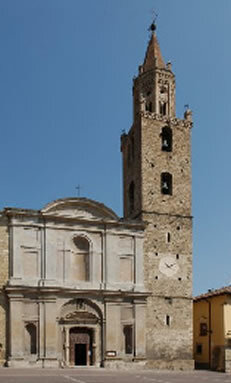 Within the city you can admire many monuments, including the Cathedral of Santa Maria Assunta, built in 1285, the Church of Santa Reparata in Baroque style, the Bishop's Palace and the Seminary of the late 500, the current seat of the Municipal Palace of Acquaviva and finally the nineteenth-century Teatro Comunale still used for theatrical seasons.